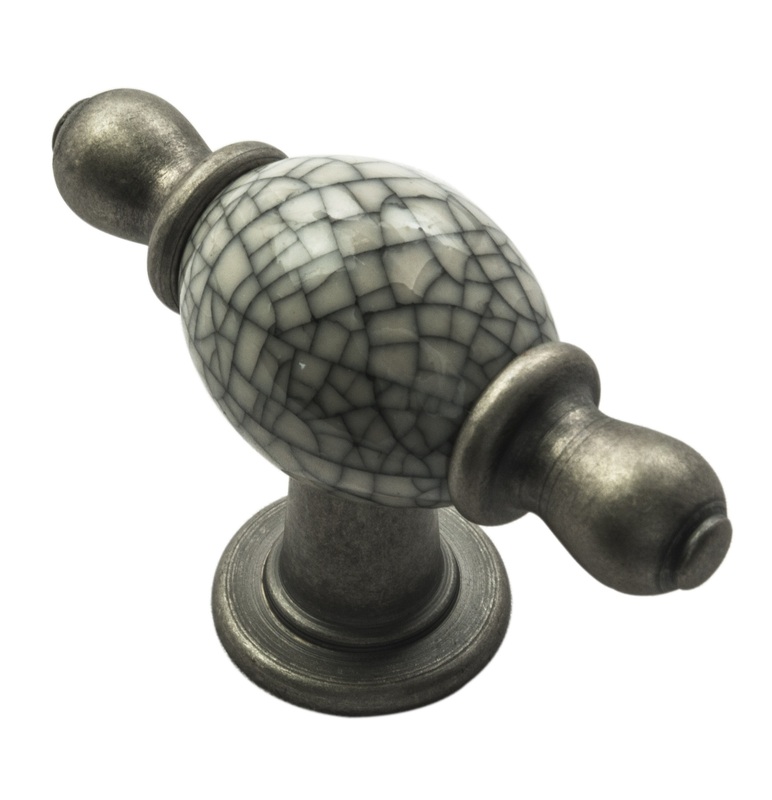 A crackle glazed porcelain knob with metal end finials on a round rose and stem. The mixture of a porcelain knob with metallic ears and base is both attractive and practical. The crackle effect on these porcelain knobs is achieved by firing in a kiln, so by nature, the effect will differ slightly from batch to batch. The size of the cracked sections, and colour tone of the porcelain may also differ slightly. 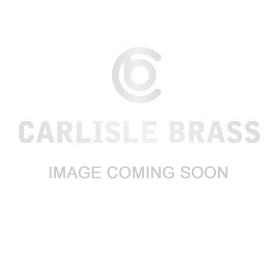 Best suited for older style antique furniture. Available in 2 finishes.